How to look at the world this spring? Right, through fashionable sunglasses! 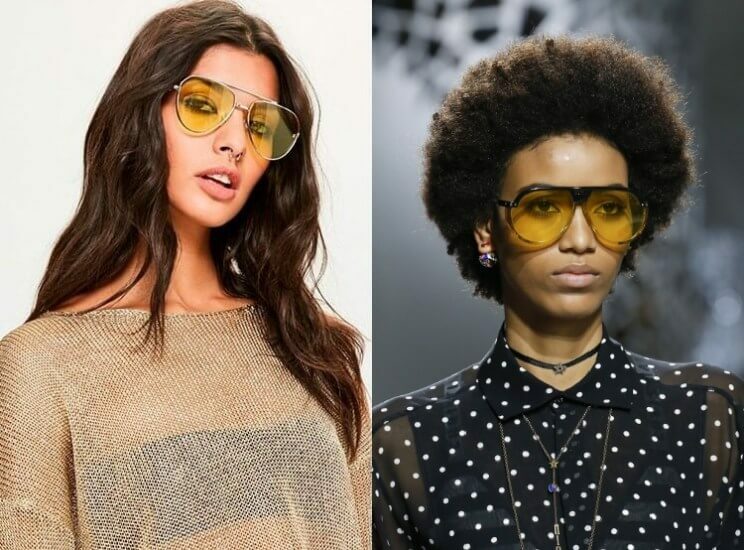 In the new season, these are, for the most part, of decorative importance if we are talking about narrow glasses or transparent glasses. Some patterns have a mask role for a costume party, while others get vintage shapes and really sharp corners. 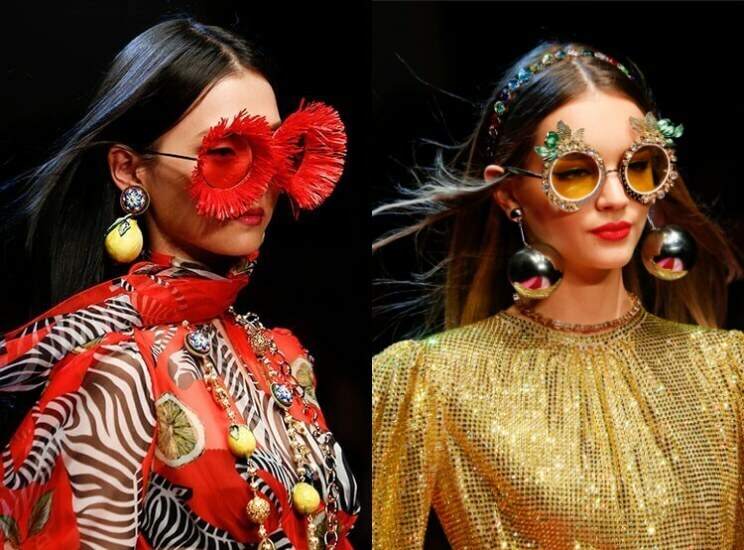 Choose fashionable spring-summer 2018 glasses and meet the first sunshine! We remember Trinity in the legendary film “The Matrix”, more precisely her look. 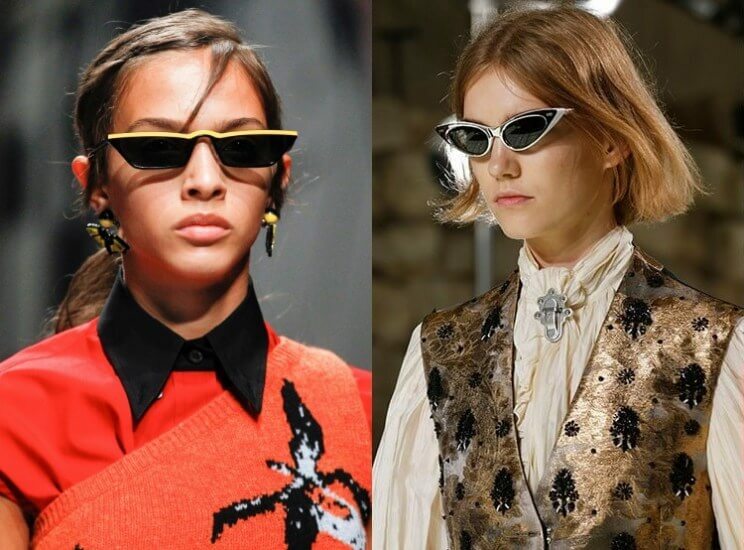 The main trend is miniature glasses and very narrow, mostly black. 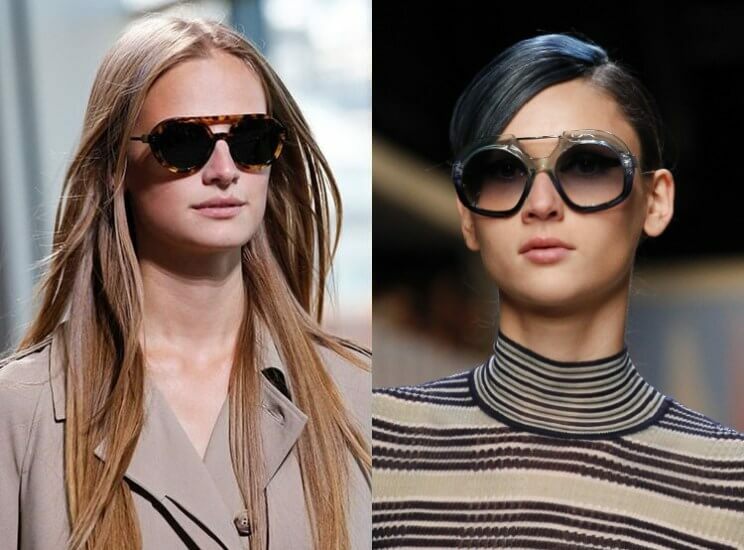 They certainly will not protect you from the sun, but in turn it will make you look in step with the current trends. Gather the hair in a tall tail or in a hair bun, discovering the forehead. The final note is to apply a classic red lipstick or any dark lipstick, for example in the shade of wine or cherry. Such models are associated with our grandparents’ glasses: a square or slightly rounded shape, a plastic frame and transparent lenses. Their main advantage is that they focus on facial features, but they do not hide makeup. By the way, it’s better to make it brighter – so designers suggest you to focus on eyes. You can choose dark black eyeliner, or you can experiment with more unusual shades – turquoise, green, purple, pink and more. We return in the 1960’s, in the Twiggy and Audrey Hepburn era. 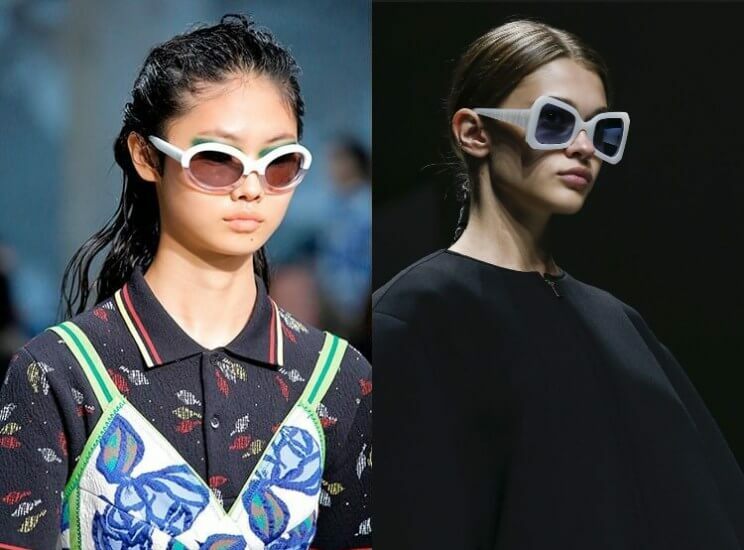 The iconic accessory of the era is oval shaped glasses in a white plastic frame with contrasting black lenses. 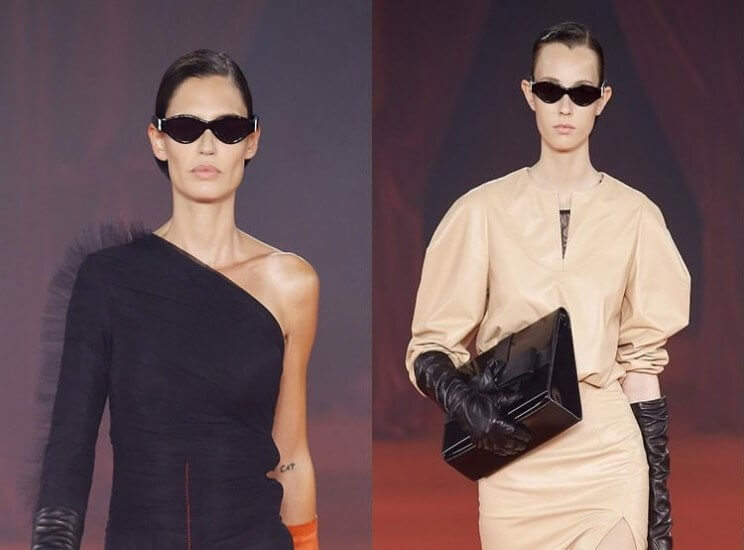 This year’s shape is of no importance – from the catwalk we are presented with a lot of ideas: from classic oval and large round glasses, to the “back to childhood” option in the heart shaped sunglasses. And again, sport dictates fashion trends! 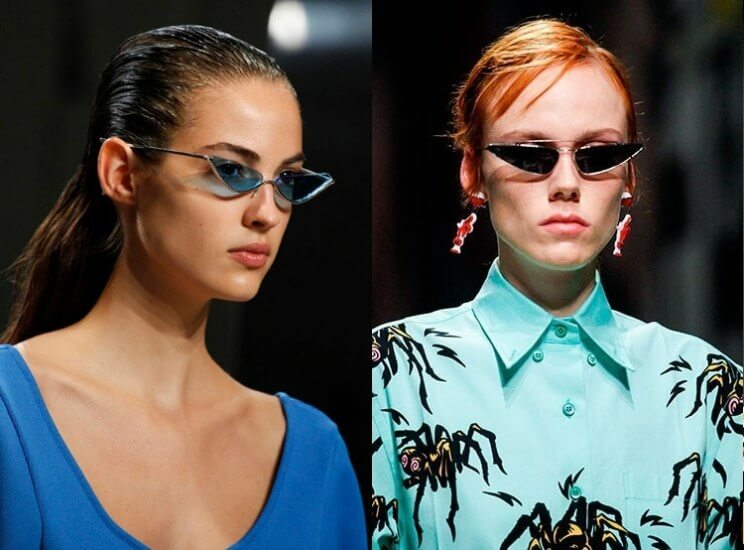 More recently, in the early 2000’s, such glasses have reached the pinnacle of popularity. 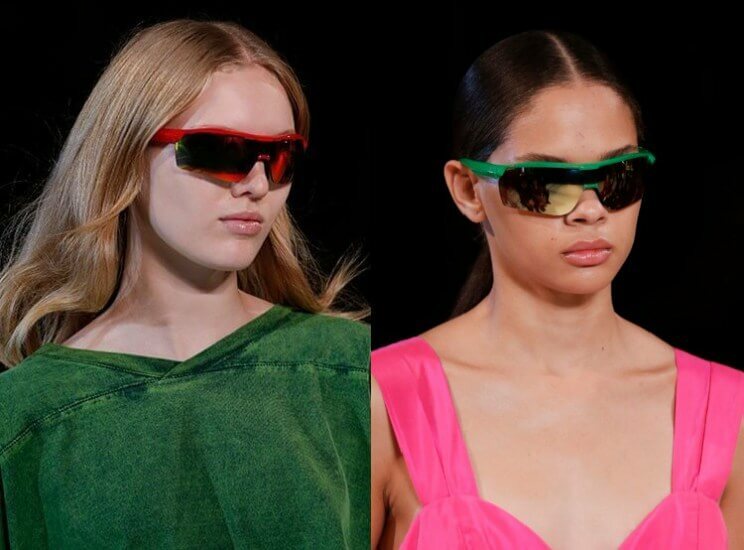 Their distinctive features: dark or “chameleon” lens, a wide deck and plastic top plate (can be any color: from neon pink to yellow). 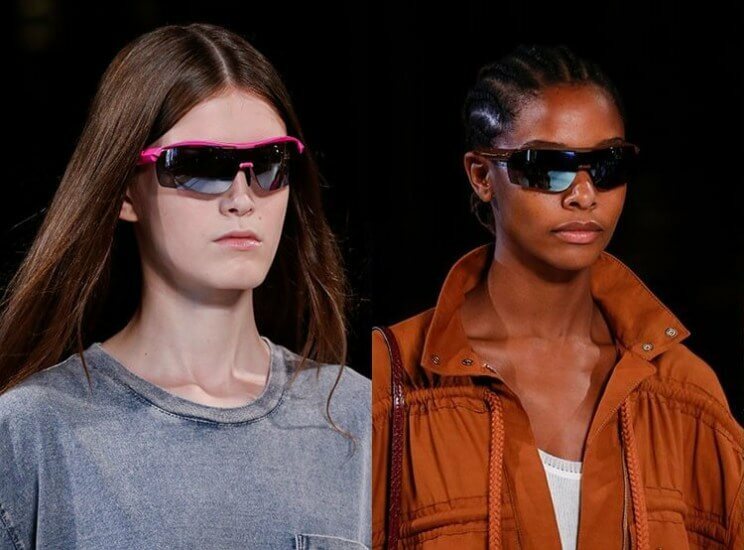 A prominent advantage is that they perform their protection functions not only because of their dark glasses, but also because they fit well with the face. We appeal to the world cinema, but this time on the movie “Fear and Loathing in Las Vegas” and the famous yellow glasses of Raoul Duke. 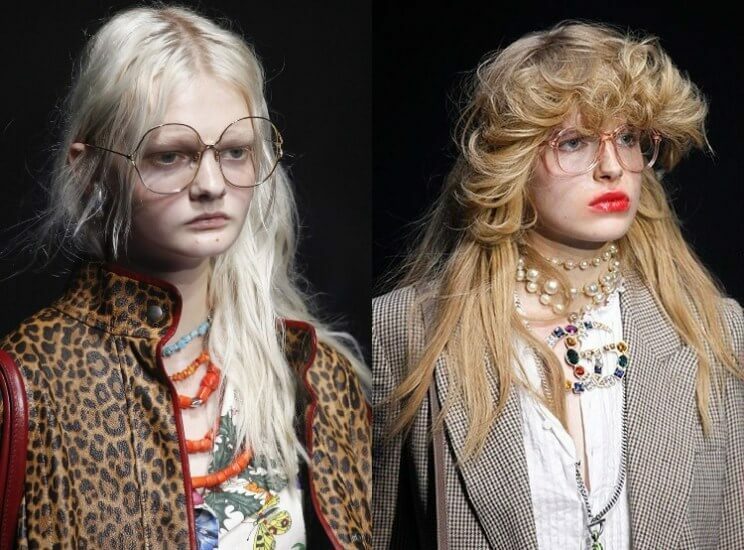 Twenty years have passed, but iconic glasses, Ray-Ban, with yellow lenses, are still on the podium. And the year 2018 was not an exception, only that the requirements for the shape are not so fundamental. We choose freely between sport and vintage patterns, Squared Wayfarer and Cat Eye. 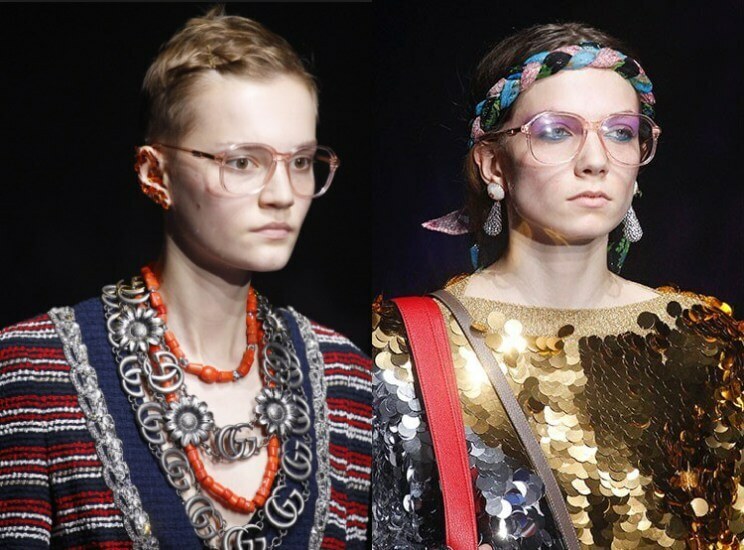 Again, we can see narrow glasses, but now we look at them at a different angle – a sharp one. 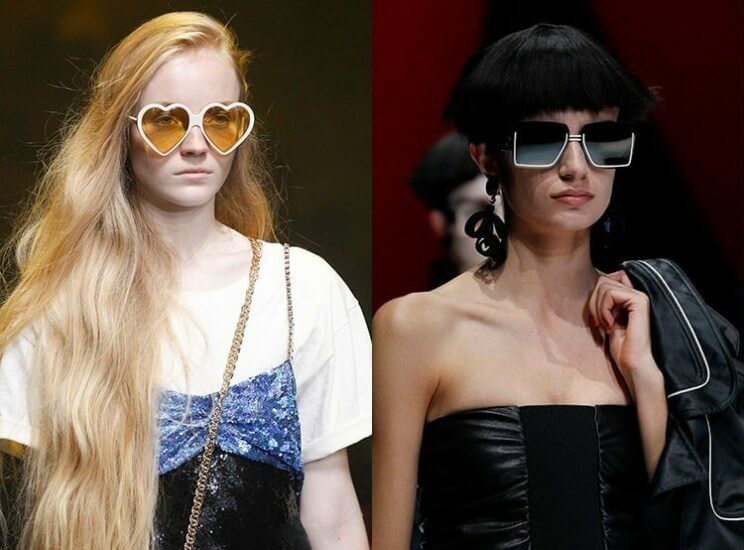 Cat eye, Rayban or trapeze – any shape is crowned with a sharp part. 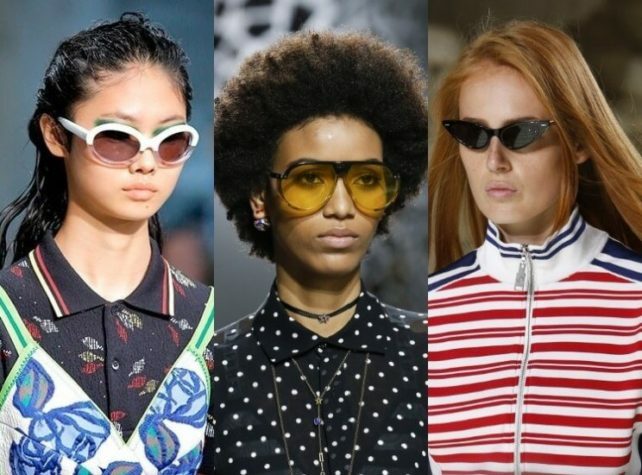 We pay special attention to dark glasses in a thin, barely visible metallic frame – almost all styles ranging from casual smart to sporty sunglasses. An ideal option is to combine such design with decorative silk turbine. Browlines is a pattern of glasses whose top of the frame (usually plastic) is wider than the lower one (which may be metal or may be completely missing). 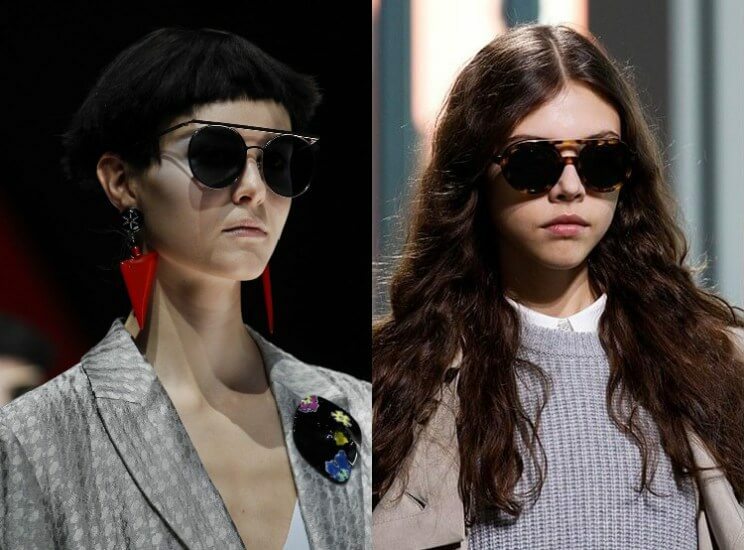 We can also appeal to the classic square shape, or we can apply ideas directly from the podium: round aviators or round-sunglasses reaching up to the eyebrow line. Even if these glasses are not suitable for working days, they can be ideal for a party! 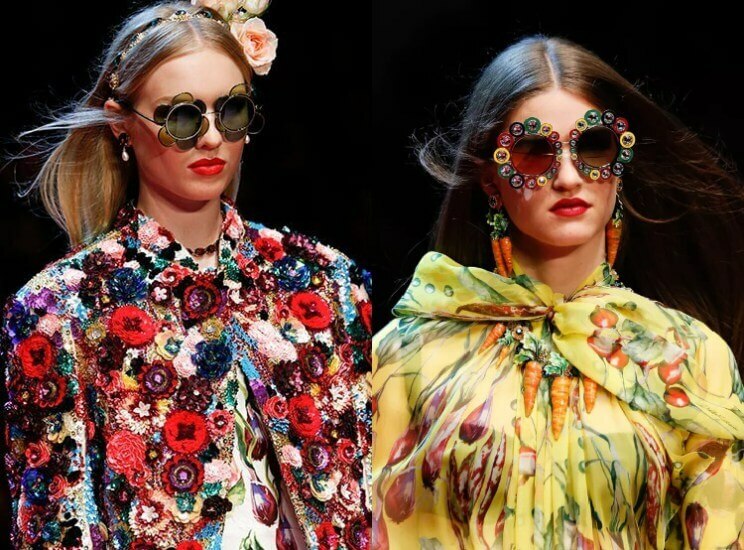 Ideas can be found in the latest Dolce & Gabbana collections: here are flower fields, game cards and even futuristic shapes. Surely you will not be left unnoticed! 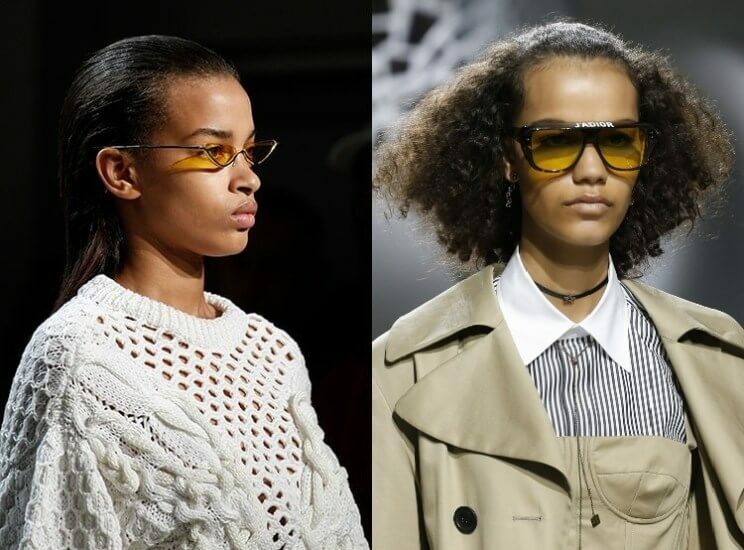 This year’s decisions are avant-garde and non-standard, so the main thing in choosing fashionable glasses in 2018 is to find the right pattern for the oval shape of the face that will highlight its beautiful features. 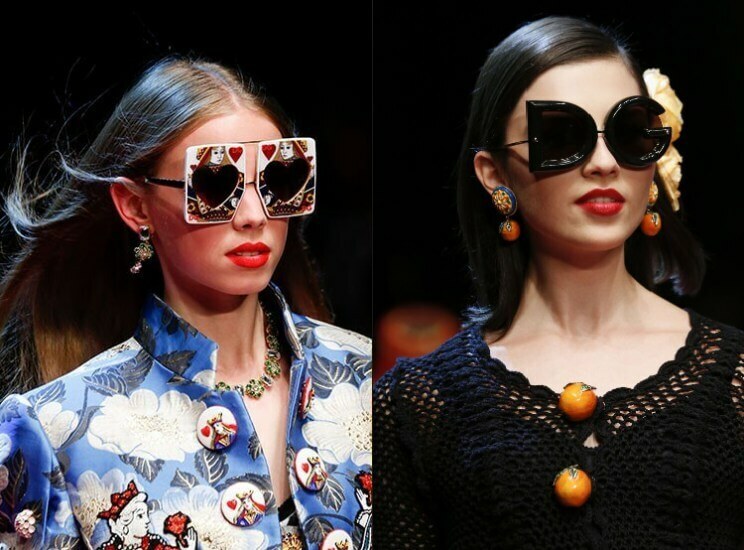 This entry was posted in Blog and tagged accessory trends, eye glasses, eyewear fashion trends, New York, optician, Rochester, Rochester NY, sunglasses, women's fashion, women's glasses on April 4, 2018 by eyeopenadmin.